Many people ask us if you need to know the foreign language to teach abroad. The answer is no, because those who use the Communicative Approach to teach English using English only. Speaking your students’ foreign language is not necessary to do you teaching job, but it is very valuable for your experience in the classroom and in your host country. 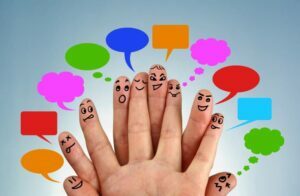 Here is a series of articles written by OnTESOL graduates to tell you how speaking a foreign language can help you in a big way. You will also find articles written by our TESOL trainers that explain when it is acceptable to use L1 (Your students’ mother language) in the ESL classroom and how to use it properly. Many folks equate teaching English abroad with a free holiday and, while moving to a foreign country definitely gives you great travel benefits and unique experiences, it certainly doesn’t mean that you will not be expected to do the job that you were hired for. It is a real job, and it will be harder than you think. 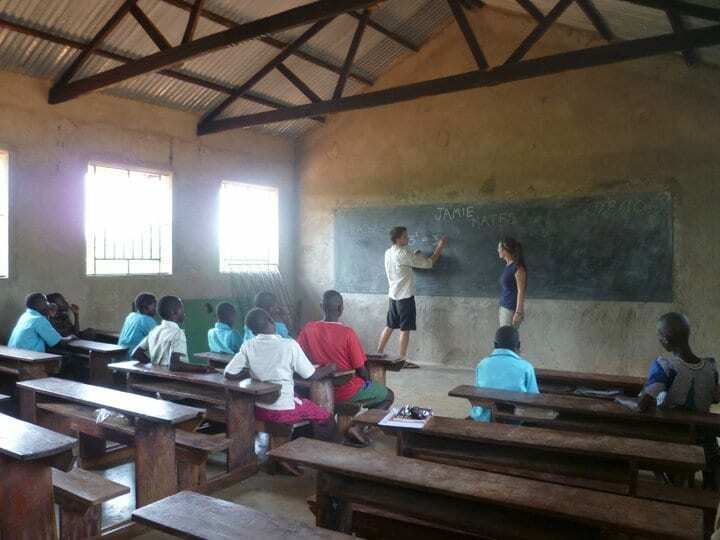 Here, some of the most common myths about teaching abroad are debunked, allowing you to check that attitude, rid yourself of counterproductive misconceptions, and get on the track to success. My first experience teaching overseas was in the Andes of Ecuador in a small rural town. 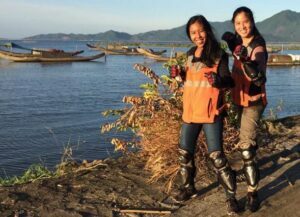 I had just completed my BA and I wanted to explore a part of the world that was new to me, considered to be “off the beaten path.” I arranged my trip with a volunteer abroad company that charged me a lot of money to complete a 6 month TEFL internship. 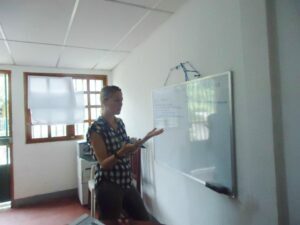 I assumed I would pick up the skill of teaching English quite easily without any prior experience or TEFL certification! Boy, was I wrong! Like all job interviews, TESOL interviews require some time and preparation to ensure you put your best self forward. Based on my experience as an ESL teacher in Ecuador and Toronto, I can speak first hand about what is required and what NOT to do before an interview for a TESOL job. School started but you still have time to apply to teach English in Asia. September to early December is the best time to apply for TESOL jobs in Asia! Many teach abroad programs hire thousands of teachers on an annual basis, so they start hiring early. It’s ok if you haven’t completed your TESOL / TEFL course. You can apply now and send the TESOL / TEFL certificate when it’s time to process your work visa. Apply for paid teaching jobs abroad now! OnTESOL has hundreds of positions for certified teachers. Your TEFL job placement package includes a free 120-hour TEFL certificate course! I remember walking into a classroom in South Korea for the very first time to watch someone else teaching, thinking, ‘how will I do that?’ The teacher was confident, he joked with his students, and they didn’t seem to mind being in class – a far cry from my experience of school as a teenager. I remember being in class and thinking that teachers were another species, entirely disconnected from myself and my classmates. Despite being nervous, I settled in quickly and it wasn’t long before I felt at ease at the front of the classroom. As someone who is not naturally confident, my experiences before I started teaching definitely helped me gain experience that was both valuable for obtaining a job and for real-life teaching situations. Here are a few ways that you can either gain experience or improve yourself as a future English teacher. Read: Why You Should Avoid TEFL Internships! I stumbled into teaching English quite by accident. All through school I had always said that I would never be a teacher and I was sure of this, even as I finished university. But then an opportunity arose for me to work in a school for three weeks, offering me money and the chance to extend my stay in my university town. I found it hard, but I took the opportunity – standing in front of a crowd of judging teenagers can be quite daunting. During these first three weeks I was able to build a few fleeting connections with the children. They were little glimmers of hope in an environment that I wasn’t particularly comfortable with, but they reminded me of how much of a guiding figure a teacher can be in one’s life. If you’re in a relationship, you may be considering teaching abroad with your partner. This can be a great life experience for couples as both get to take part in many new challenges and adventures – together! Keep reading to learn more about what to expect when teaching abroad as a couple. You may be wondering why you haven’t made this exciting change yet!